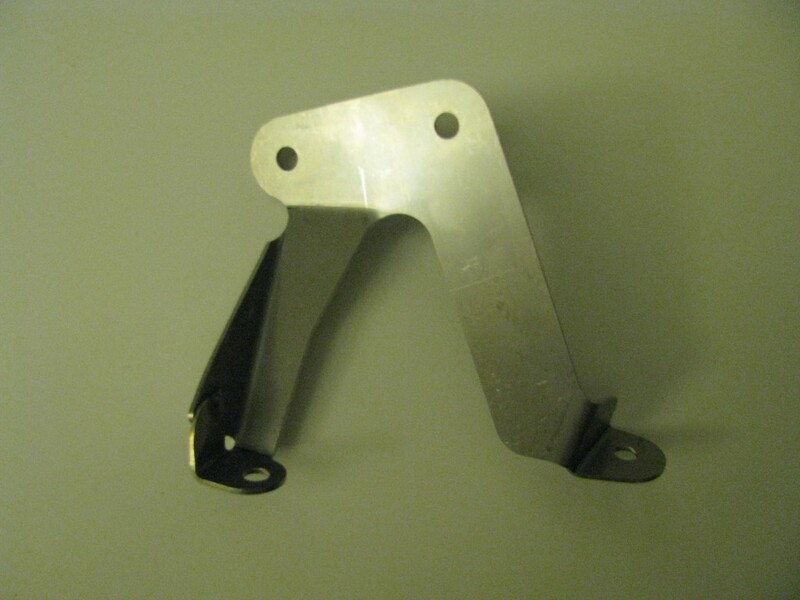 Often missing or badly corroded, I have available on stock a reproduction stainless steel bracket to support the air cleaner box on the 205 GTI or CTI 1.6 or 1.9. Laser cut and folded from stainless steel this replaces the bracket from the exhaust manifold to the side of the airbox on the gearbox side. This bracket is listed as NFP with no stock left in the dealer network, the original is painted mild steel and suffers badly with the heat from the exhaust manifold.